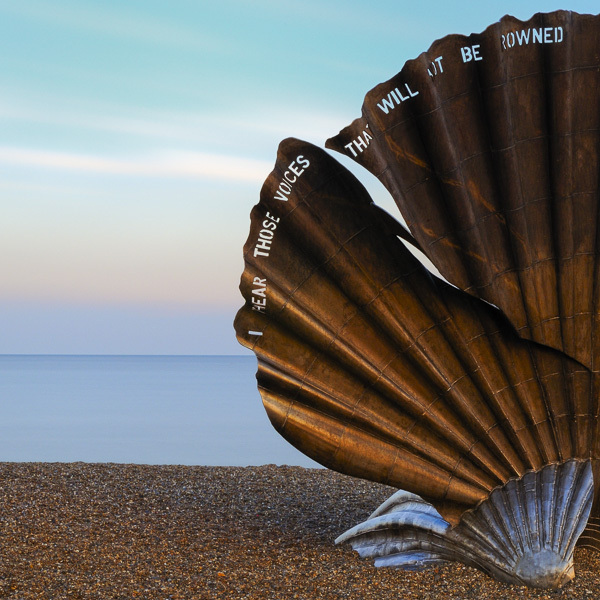 Sitting on Aldeburgh beach on the Suffolk coast, Scallop is a sculpture created by local artist Maggi Hambling in 2003 to celebrate the work of composer Benjamin Britten. The four metre high steel structure is pierced with the words "I hear those voices that will not be drowned" from Britten’s opera Peter Grimes and viewed at the right angle, the words can be read against the sky. I took Detail of "Scallop" Sculpture on a visit to the coast a few years ago and wanted to capture these words so that they create an arc from the sea, up into the darkening sky. It was late in the day and there was a lovely golden light behind me, which gave the sculpture a deep, rich colour. The long exposure I used has made the sea silky smooth, the sunset turned the sky orange-turquoise and you can see this spectrum of colours through the punched out words. Suffolk-born Benjamin Britten had a house not far from the beach and was one of the founders of Aldeburgh Music, which is now based at Snape Maltings, a world-class centre for music and host to concerts and festivals throughout the year. 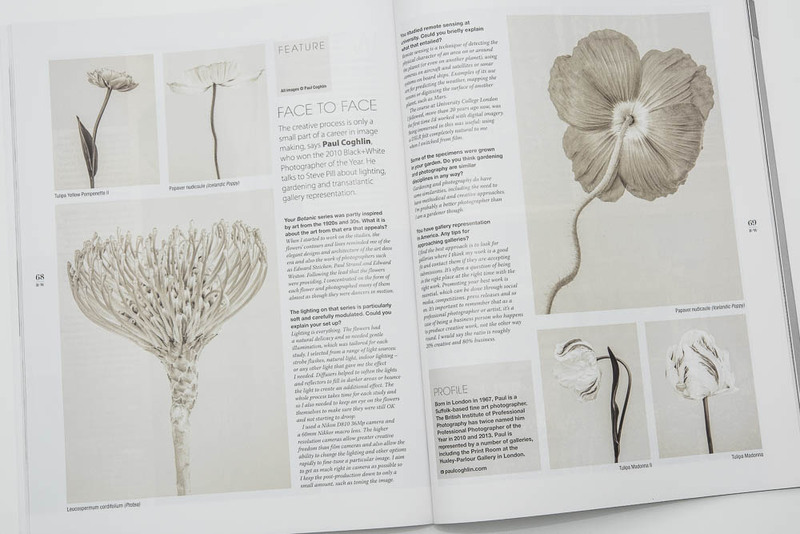 Maggi Hambling describes Scallop as a ‘conversation with the sea’. She said: "An important part of my concept is that at the centre of the sculpture, where the sound of the waves and the winds are focused, a visitor may sit and contemplate the mysterious power of the sea." 20” x 20” (edition of 30). Please let me know if you are interested in acquiring this piece.